Believe it or not, I actually had not played all the way through this game before. I almost feel like I need to turn in my Nintendo fan card at this point since the game is so iconic. In my defense, I’ve played bits and pieces of the game on a variety of different systems and equipment so maybe I should cut myself some slack. It’s definitely a fun game that holds up well. 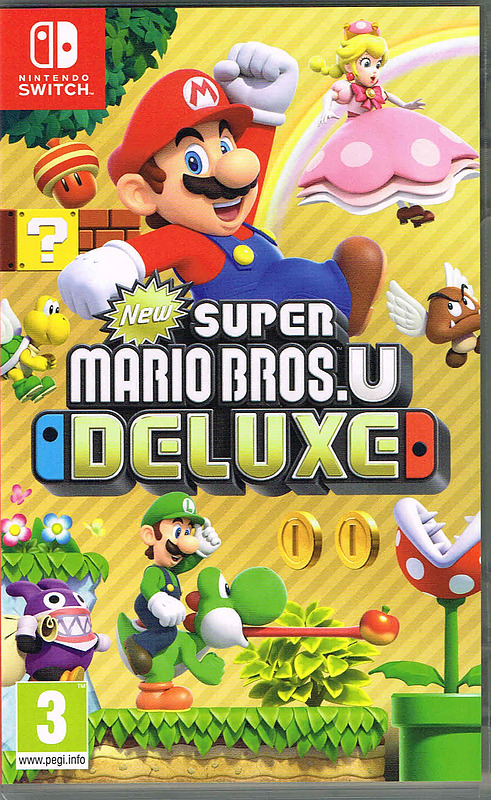 Naturally it’s nowhere near the level of the modern Mario games for many reasons, but it’s definitely a title that you can go back to at any time. You’re thrown right into the thick of the action when you start the game. The basic plot is that Princess Peach has been kidnapped and you have to destroy Bowser 8 times in order to free her. There isn’t much of a story beyond that though as the game didn’t really have cutscenes except for brief text at the end of each world. You must now journey through all of the levels to get to the end. Each of the 8 worlds has 4 levels and they’re all a few minutes long so you can get through the game very quickly. There are also some shortcuts which allow you to skip whole worlds. I’ve seen some speed runs where a guy beats it in a matter of minutes so the shortcuts in this game are certainly quite legit. I found one by chance during my playthrough which I did use. It’s definitely cool and a nice little Easter Egg for fans who play through the game. The gameplay is pretty straightforward as you run through the level and try to make it to the flag at the end. (Or you touch the axe at the end if it’s a boss level) The controls may feel a bit slippery if you haven’t played it in a while. Mario tends to keep his momentum during the jumps so you can very quickly find yourself flying away. The graphics are fairly basic, but look nice. The game has a solid aesthetic. There is a good variety in the levels and there was clearly a good amount of effort put into the game. The soundtrack is also pretty nice. There isn’t a whole lot of replay value here though as once you beat the game I don’t see why you’d go through it a second time. At the very least, you probably wouldn’t do that right away. So this game will probably provide you with about an hour or two of entertainment. Of course, you can play this game for free almost anywhere so that’s not bad. Naturally there isn’t much more to be said about the game since there isn’t a lot of content. I will say that I’m glad for the NES access points as they do come in handy for the retro games like this. My gameplay style is all about running in first and jumping later so I tend to get hit by the enemies quite a lot. Usually I die in cheesy ways, but in my defense I just can’t wait for the enemies to move. I got to go go go! Overall, Super Mario Bros is definitely good. It reminds you of how much quality Nintendo always puts into their products. It’s easy to see why Mario did so well. I’m sure the game probably amazed everyone back in the day. If you’re a big Nintendo fan then I’d certainly urge you to play this at least once. 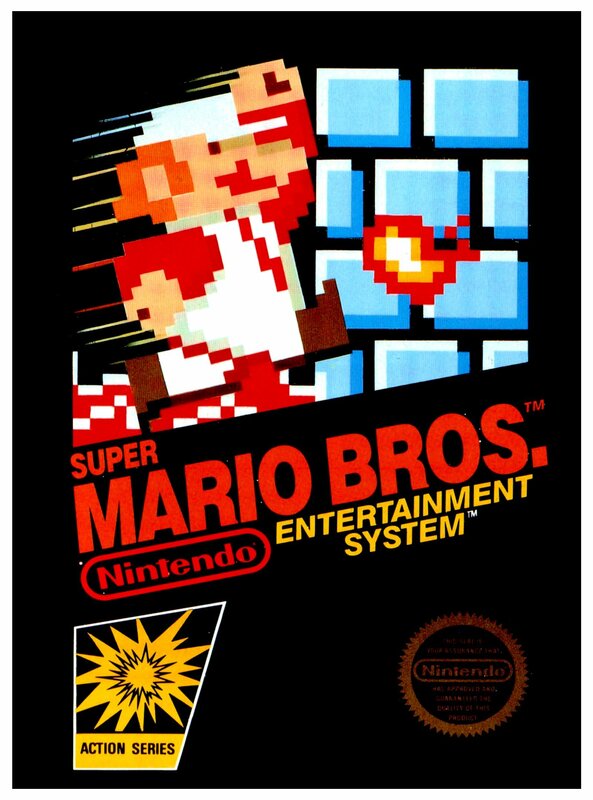 You’ve really got to experience Super Mario Bros to see why it’s such a big deal for everyone. It’s a good moment for gaming history in general. It’s time to look at the Mario OVA which is so obscure that I wouldn’t blame you for not hearing of it before. 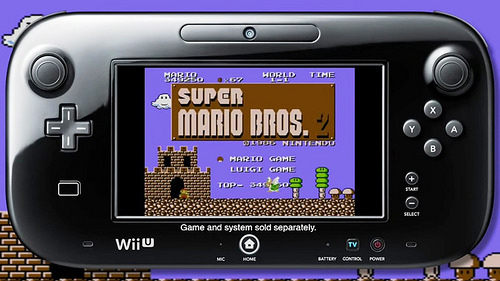 There are 3 episodes in this OVA which each tell a story that shows why Mario is a true hero. They decide to mess with his origin a bit and each story is a stand alone, but it’s interesting to see Mario be used in a bunch of classic fables like this. It may not be the greatest Mario adventure, but they aren’t bad. The first story starts with Peach and her Hammerbro parents. They are not able to protect her from the mighty Bowser. That’s where Mario comes in as he is born from a shooting star and grows up very quickly. He heads off to save her, but he will have to deal with many powerful threats like the King of the Koopas. Mario isn’t scared though and quickly gets ready to take them all down. This is a more vicious Mario than we are used to as he even wields a gun. It’s cool to see Mario fight like this. He actually uses some hand to hand skills which is something that never happens anymore. We seriously need the upcoming big budget Mario film to have some real fights. This is the Mario we deserve. The whole special is very surreal though, like how are Peach’s parents Koopas? I figured they would at least be Toads or something. Bowser doesn’t look very good as can be expected though. It’s a short little story and one that is fun enough. The second story is about Mario but this time he is only 1 inch tall. Mario doesn’t care about this and wants to go check out the big city anyway. He knows that this will help him quickly become one of the all time greats. He meets Peach along the way and has a great time. Unfortunately, Mario’s plans are cut short when Bowser appears and decides to take Peach away. Mario can’t have this so he grabs his sword and then begins a fight for the ages. Mario may be small, but he has some serious moves and Bowser makes the mistake of swallowing Mario without chewing. I never quite get why the big villains do this since of course Mario will stab him from the inside. Bowser didn’t really think this plant through, but I suppose I can give him some kudos for the attempt. It’s a fun special as well although I prefer the first story. Mini Mario just doesn’t make for as endearing a character as his normal form. Finally, the OVA decides to end with a bang on the last episode. This one is a Snow White homage as Bowser dresses up as an old lady and tricks Peach into biting the poison apple. Mario arrives too late to save her, but breaks into the castle in a rescue attempt. Surprisingly he wasn’t doing too well this time, but granted Mario was outnumbered. Fortunately Luigi comes in to save the day and the duo finally get to team up. It was nice to see Luigi actually show up for a bit since I thought the OVA had forgotten about him. This was the last special but probably also the best one so it was a good way to close things out. The action was on point. So, it’s hard not to like this special as how can you not enjoy a Mario anime? Granted, the anime is fairly low budget. There is a lot of reused animation throughout the specials and they went for stills whenever possible. There’s not much of a soundtrack here either so on a technical level the OVA is pretty bad. That’s why you always want to have a good story to help counter balance these elements. If this wasn’t a Mario product then it probably wouldn’t rate quite as highly as it does. Still, it is great to see Mario on the big screen so I guess he deserves some props for that. Even if you combine all 3 episodes the OVA isn’t all that long. You can fast blast through this with ease. The pacing for each special is pretty good as a result. It’s all pretty easily available online if you decide to check it out. Mario makes for a good hero and Peach is pretty consistent. Bowser isn’t a great villain though and you probably won’t be able to take him seriously for any of the specials. I think Bowser Jr/Baby Bowser may have been a better pick here or perhaps a made up villain. Bowser just seriously needs a better goal than constantly trying to marry Peach. It’s a futile mission and one that was doomed to failure from the start. Overall, The Amada series may not have put Mario on the map, but they gave it a good shot. The special is reasonably fun, but there isn’t too much replay value to be found here. Watching it once is good enough to enjoy the surreal elements of the OVA. After that you’ll probably want to stick to the main Prince Haru movie. That’s where most of the Mario elements stayed after all. 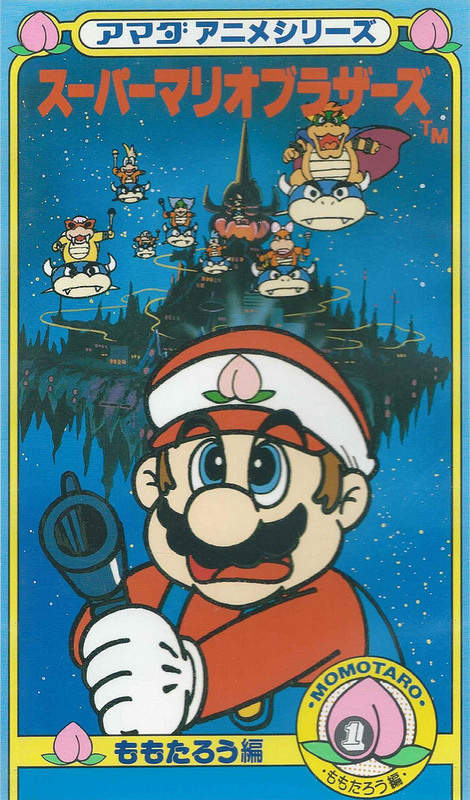 Of course, if you want to see Mario with a gun, then you have no choice but to run to this series. Either way, if you’re a Mario fan then I recommend checking this special out. If not, then I probably wouldn’t recommend it quite as highly as you could find better alternatives, but it’s a good adventure story for any viewer.